Our experts are having ten plus years of real-time experience on teaching Oracle Fusion Applications and are said to be well-certified trainers. We deliver a top-quality of training for students. We are having online classes at our I Go Fusion which can be accessed from anywhere at any time with provided security access. These online training classes can be accessed through the web-based process. At our, I Go Fusion we are having 80+ hours of self-paced videos for learning. This is a kind of learning which proceeds based on learner response. Looking For any Training ? Nice explanation given by Oracle experts at I Go Fusion which is really very good. The team members had given the good explanation with patience and they are very supportive. 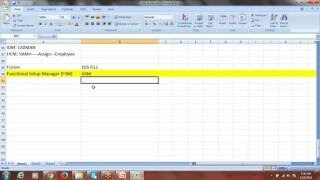 Thank you a lot for uploading such a useful tutorial on Oracle Fusion Procurement application. Training video recordings on all applications are useful to learners. I appreciate for sharing such a useful content through videos which are informative. I am inspired by you with your teaching skills. The trainer was very receptive to all my questions, and I was able to practice all my lab sessions. Online Training on Oracle Fusion HCM session was very practical and the way of teaching and explanation was really very good. Overall had a great experience with I Go Fusion. The complete learning experience was really excellent from this institute and trainers provide good stuff on Oracle Fusion HCM application. Online training was really good. Thank you for online trainers for giving step by step process while teaching and I appreciate them for sharing such useful information with students. 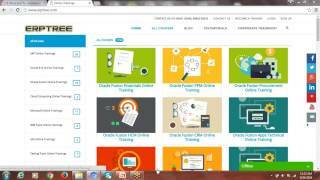 This is the good training program on Oracle Fusion Applications. We are really satisfied with the Oracle Application trainer and the trainer is also really good. His way of explanation and teaching was really awesome. I Go Fusion is providing everything in a perfect manner. I can really say the overall experience of the trainer was really awesome. Trainer explanation and his cooperative with the students and that coordination were perfectly good. This training institute got really useful for Oracle Fusion Applications certification and training courses, the caring and support from the staff was also good. The trainer was excellent, infrastructure was good, and course material is also excellent. I know that Oracle Fusion Financials is a very complex system but the course was very helpful for my skills. 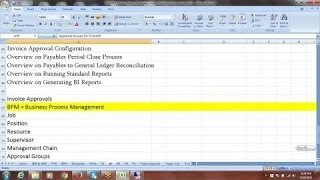 Now I have understood all Oracle Fusion Financials processes. I appreciate the efforts of the instructor who explained all uses, cases and completed the course agenda. I prefer you to join I Go Fusion training institute to get training on all Oracle Fusion Applications and am looking forward to enrolling for more training with them in the future. I have completed Oracle Fusion Procurement course from I Go Fusion. The class is very interesting to me. The trainer was excellent, a good mentor and explained each and every step. The clear explanation of concepts, good sense of progression through the topics, and most of all making it relevant to real work situations, so I was able to walk away with some solutions to various challenges. I highly recommended you to take part in this institute for great future and I would like to thank our Oracle expert and I Go Fusion. I Go Fusion is really very good training provider which offers the best training on Oracle Fusion SCM application. The trainers are doing the very good job for offering such an informative training and also provide real-time case studies for students during training sessions. I am inspired by you with your teaching skills. The trainer was very receptive to all my questions and I was able to practice all my lab sessions. I would like to extend my lease to fusion instance so that I can prepare thoroughly for my fusion certification exams. I have joined in this institute to take coaching on Oracle Fusion HCM application. I Go Fusion is really a good platform where I had fulfilled my goal. This institute is a really good place and has a good environment for learning and provides effective training by our real-time trainers. It is having best infrastructure and lab facility to get practice. The team is very cooperative and cleared the queries which rose during a training session. Trainers are very goods and are cooperative. Finally, I would like to thank the Oracle trainer. I had completed training on Oracle Fusion Financials in this institute which is provided by the excellent trainer. He is very friendly with students and easy to connect, he has very good knowledge in teaching on Oracle Fusion Applications. Each topic was explained clearly by him. This is the best place to get training on any suite of Oracle Fusion Applications. Thank You for offering such an excellent training for students and I really recommend you to get training in I Go Fusion training center. It’s a great value to get training on Oracle Fusion Financials application through online training with such a great experience trainers. I really got good knowledge and experience from well-certified trainers of I Go Fusion and they are very cooperative during the training period. The complete learning experience was really excellent from this institute and provides good stuff regarding fusion financials application. Online training was really good. Thank you for online trainers for giving step by step process while teaching. I appreciate the trainer for sharing such useful information and I am inspired by you. I Go Fusion is really very good online training center which provides the best training on Oracle Fusion SCM application. The trainers are doing the very good job for offering such an informative training and also provide real-time case studies during training sessions. Thank you, sir, for providing excellent training with training video recordings which are helpful to learn them at any time. The students who are interested in taking Fusion SCM course I will recommend you to join here to get certified career. The training was very good and the material provided here was very informative. I had enrolled for the self-paced training with online classroom option, to prepare for the fusion certification exams. I Go Fusion was referred to me by a friend of mine, and word of mouth is always ideal. I am a self-learner, but on this occasion wanted to be quickly up and running on oracle fusion. I have no hesitation in recommending the I Go Fusion for training to anyone which is looking for professional Oracle Fusion HCM training. The pre-configured online instance of fusion applications is a big bonus. Thank you for offering such a certified training. Training at I Go Fusion is really very good. The team members had given the good explanation with patience and they are very supportive. 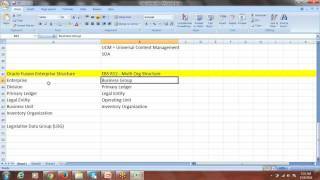 Thank you a lot for uploading such a useful tutorial on Oracle Fusion Procurement application. Training video recordings on all applications are useful to learners. I appreciate for sharing such a useful content through videos which are informative. I am inspired by you with your teaching skills. The trainer was very receptive to all my questions, and I was able to practice all my lab sessions. I would like to extend my lease to fusion instance so that I can prepare thoroughly for my fusion certification exams. THANK YOU to my trainer and I Go Fusion team, that they have offered excellent training on Oracle Fusion Financials application. The team is very cooperative and cleared the queries which rose during a training session. Trainers are very goods and are cooperative they had discussed lots of case studies while teaching. This training had helped me a lot to answer the questions which are normally undocumented. I also appreciate the team for giving such a professional training and my dream had come true that I was selected for MNC Company. Thank u a lot for I Go Fusion team!!! !